We believe that Digital Signage should be easy&dash;to&dash;use not hindrance, especially to a non&dash;technical user. That is why, instead of providing "one size fits all" solutions, we designed all of our Digital Signage solutions in such a way that YOU pick the features and services you wish to implement. In addition to Digital Signage, Saturn Digital Media offers a number of other useful services, such as installation and setup of audio/video, graphic design, video production, music composition and sound design. Click the Services button for more information. 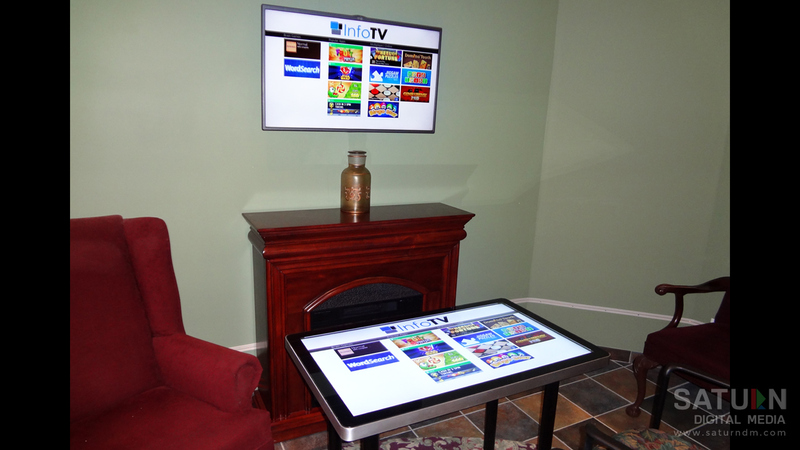 Before any agreement is signed, we will meet with you to discuss your Digital Signage goals. Our aim is to guide you through the process and help you select a solution that best suits your needs today and in the future. In addition, we will carry out a detailed survey of your property to evaluate the technical requirements needed for the project prior to moving forward. We will follow with a written report of our findings and recommendations regarding any changes or necessary upgrades before the installation can take place. After all the details have been discussed and approved, Saturn Digital Media takes on the role of a General Contractor. We will collaborate with electricians and IT as to wiring and its location as well as order all the hardware on your behalf, including the commercial grade screens, media players, accessories, mounting hardware, etc. The next step involves our graphic design team working with you to determine the the look of your digital signage; at this stage you also get to pick your functionality options. We appreciate that everyone has different needs so we designed our software in such a way that it allows us to add custom functionality to accommodate your special needs. Once all the hardware arrives and the design is complete as per your approval, our expert team proceeds with the installation and testing of your Digital Signage. For the final step we train your staff on how to use it as well as put together any additional tutorial materials, if needed. Even though every Digital Signage solution is vigorously tested before launch, it is inevitable that issues will arise requiring technical attention. 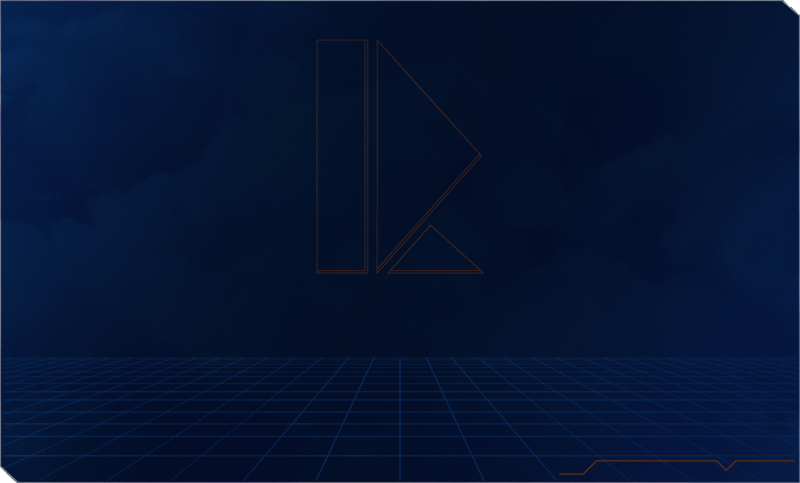 However, thanks to our automated problem notification system and 24/7 online monitoring, we will be alerted to any software or hardware problems before you are even aware that something is wrong. Most issues can be rectified via remote online maintenance, but if a problem proves to be more serious then our expert technical support team will make a prompt visit to your property. "Any darn fool can create something complex. But it takes a genius to create something simple." "I looked at over a dozen companies to help bring our digital signage project to fruition and Saturn Digital Media had the most flexible and easy to use product. They understood our objectives and project goals, offered their experience and never pushed me to make any decisions. The project looks better than I imagined and provides our guests with a unique and informative experience." In a world that is fast paced we have become accustomed to the Internet and mobile devices that provide us with quick and unprecedented access to information on demand. Ultimately, we desire what makes our lives easier hence why transitioning into digital makes a lot sense for today&apos;s car dealerships in order to enrich their customers&apos; buying experience and increase sales. According to research conducted by the Point of Purchase Advertising Institute (POPAI), about 74% of all purchase decisions are made in&dash;store. This makes grabbing the customer&apos;s attention and persuading them to make the purchase that much more imperative. Today&apos;s customers are used to the Internet, smart phones and rich content which make static posters seem less appealing to them. Static posters are lifeless, the colours are dull and don&apos;t emit light which makes them hard to see in the evening hours. But worst of all, they can become irrelevant at a moment&apos;s notice. In the car dealership showroom, Digital Signage can be used to grab the customers&apos; attention by presenting product advertising in vivid colour, using motion and full high definition video. 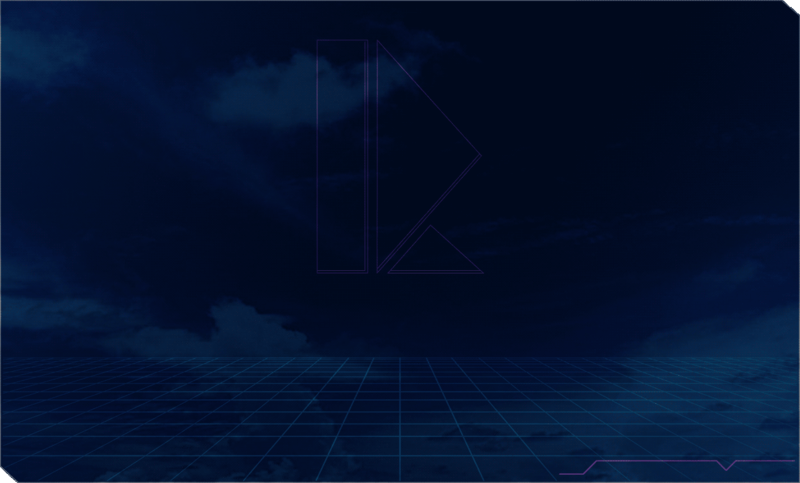 By incorporating an interactive component, the customers&apos; time will be better spent educating themselves about the available models and services, etc. while waiting for the sales associate. Consequently, this will streamline and greatly improve their overall buying experience. Another way to create impact is to entice the customer by a stunning clip played back on a 4x4 video wall inside the showroom showing a car driving through beautiful scenery while demonstrating its special features and capabilities. Additionally, a large video wall will attract customers from outside to come into the showroom. By incorporating interactive kiosks in the showroom, your customers can independently learn about the vehicles and customize them to their liking. They can preview car models with a variety of different interior/exterior designs, colours as well as compare their engine, fuel economy and safety rating, etc. This will make it easier for the customers to choose a vehicle that best fits their life style and needs. Additionally, a document based on the customers&apos; choices can be generated in real&dash;time that they can take with them by scanning a QR code with a mobile device. Furthermore, the customers&apos; selections can be tracked using live statistics to inform the dealership about which car model and in what colour, etc. is the most popular so that more can be ordered in. 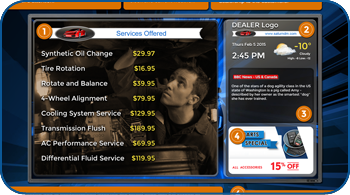 With interactive kiosks customers can have instant access to the dealership&apos;s social networks such as Facebook, Linked In, Google+ and Twitter, etc. This will increase the dealership&apos;s Internet presence as well as allow for an even easier connection and sharing of information with the customers. The customers will be up to date with the dealership&apos;s latest announcements, special promotions, new inventory and other information. 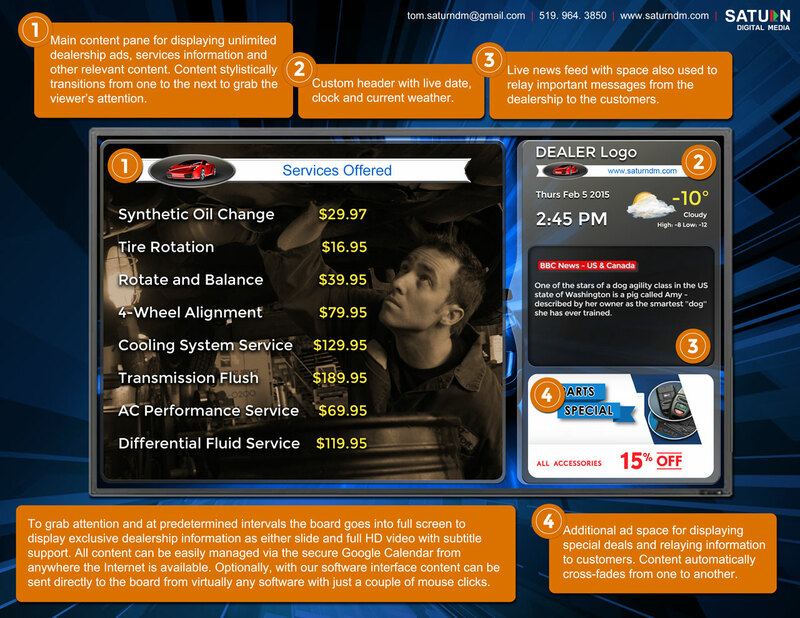 Having interactive kiosks in the showroom or utilizing tablets with the same software is also a helpful sales tool. The tablets can be used either by the salesperson or the prospective buyer to present information about different models and options, etc. thereby enriching the customer&apos;s buying experience. Additionally, it will be easier for the salesperson to make the sale without having to rely solely on memorization. during bad weather conditions as well as where to buy accessories such as windshield wipers and floor mats, etc. Additionally, with Digital Signage you can shorten your customers&apos; perceived waiting time and lower their anxiety resulting in much happier customers while providing the dealership with an opportunity to up&dash;sale. Click the thumbnail above to enlarge. 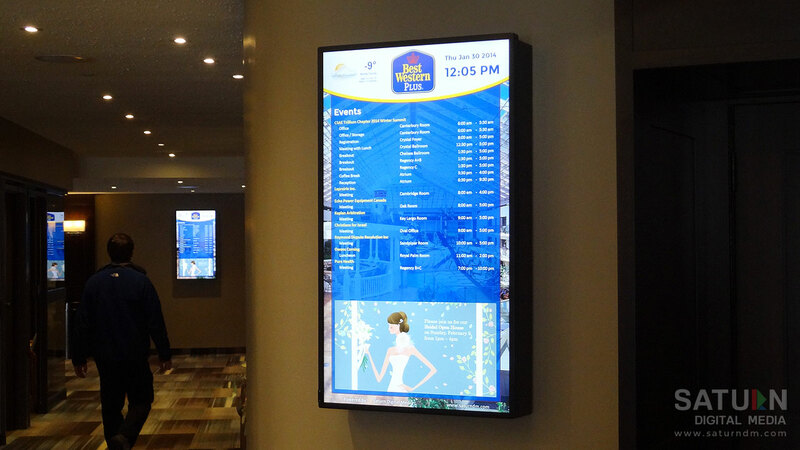 Whether you choose to go with a digital reader board or an interactive kiosk, the advantage over static printed display boards is that with digital what you see is what you get and there is no quality loss. The content can also be instantly updated from one central or multiple locations to all the Digital Signage in the network with just a couple of button presses. On the other hand, static displays take time to print, distribute to all locations and then still someone has to install them while properly dispose of the old. There is also the risk that busy personnel will forget or neglect to install displays resulting in missed promotion opportunities and brand inconsistencies between the different dealership locations. Some have employed power point presentations for their Digital Signage. But, the problem with this approach is that it requires a dedicated person to oversee it on a regular basis and if this person is unavailable the result will be in the lack of updates. With a proper Digital Signage solution, the content can be scheduled in advance to update automatically. Naturally there is an investment on the front end, but it is a lot more affordable than what our competitors are offering. Additionally, by switching to Digital Signage you will be reducing the need for printed materials, the time it takes to distribute them to each dealership location, installation as well as costs associated with proper disposal of the outdated materials. Over time a lot of money will be saved and the negative impact on our environment will also be reduced. There is the inclination to use residential screens for the purposes of Digital Signage to save on cost but in fact the opposite is true. 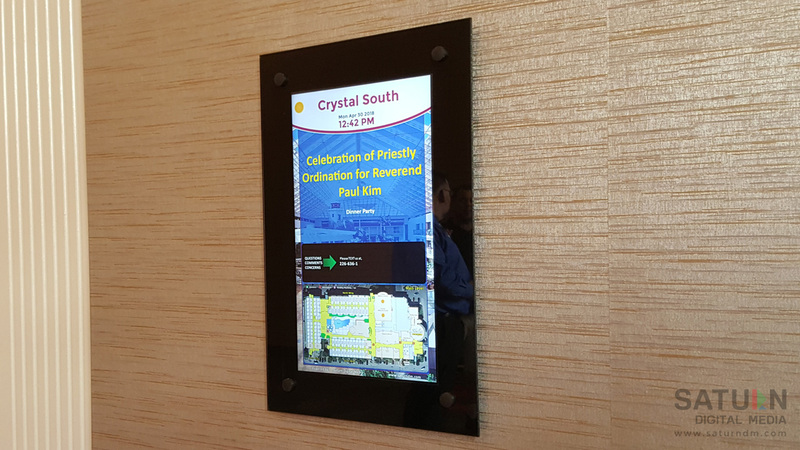 Residential displays are not suited for a 24/7 hour operation, their picture quality is not as bright and mounting them vertically will result in damage. Furthermore, the residential screens only come with a 1 year warranty that will not be honoured if the screen is used in a commercial space. The commercial screens come with a 3 year warranty, can be programmed to turn on/off automatically and contain less hazardous materials which makes them more easily recyclable when in need of replacement. 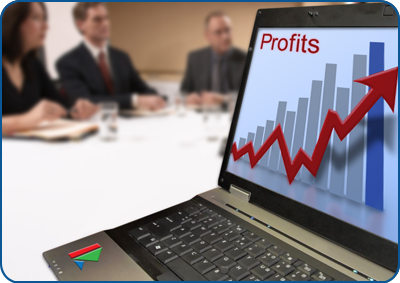 After hours the Digital Signage can be utilized for the purposes of employee training. The information sent through email may get lost and asking employees to travel for training is not convenient. With Digital Signage, pre&dash;recorded training videos outlining new marketing strategies and other relevant information can be scheduled and played back to the employees at a most convenient time. According to Market Research fitness and health club members not only generally have more disposable income but are also accustomed to watching television in the workout facilities and locker rooms alike. Furthermore, a study conducted by Arbitron concludes that 70% of of club members watch close to 40 minutes of programming per visit thus making fitness clubs the #1 venue for consumer engagement. So, why not make the television screens at your facility work for you? Be creative by showing different videos, slide shows or announcements that can be scheduled when and for how long to display with easy&dash;to&dash;use software such as the Google Calendar. In addition, thanks to our seamless and innovative software interface, to display images or announcements across all screens can take as little as hitting the "print" button in your existing software. Digital signage grabs your clients attention for longer, decreases their perceived waiting time in line while giving you the extra opportunity to highlight your products and services. With interactive kiosks you can stay green by reducing the need for printed ads or brochures and provide your clients with a creative and fun way to access information. Printed materials are costly and prone to inevitable shipping delays while interactive kiosks are expandable and can be instantly updated with new content. People are naturally attracted to motion and so it is no wonder that we find Digital Signage to be more appealing and exciting than old fashioned printed boards. With our easy&dash;to&dash;use Digital Signage you can grab your guests attention and keep them informed by displaying attractive, compelling and dynamic content. In addition, having the guests notice that you are using modern technology, will not only make your facility appear more innovative and forward thinking but will gain more of their trust. 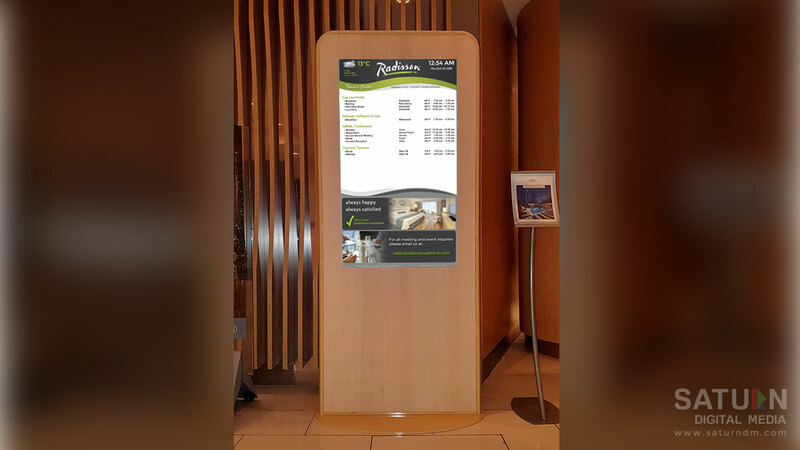 Highlight your hotel&apos;s amenities, services, provide information about your loyalty programs and generate an extra revenue stream by displaying third party advertising. Promote your restaurant and entice your guests with digital menus that present food in high resolution while promoting your restaurant&apos;s breakfast or dinner specials. In addition, you can provide your guests with up&dash;to&dash;date flight schedule for arrivals and departures from a nearby airport as well as other hotel information that can be broadcasted to the television sets inside the guest rooms for added convenience. way&dash;finding map. Click thumbnail above to enlarge. By investing in an interactive kiosk, you will improve services and enhance your guests satisfaction by streamlining their experience. 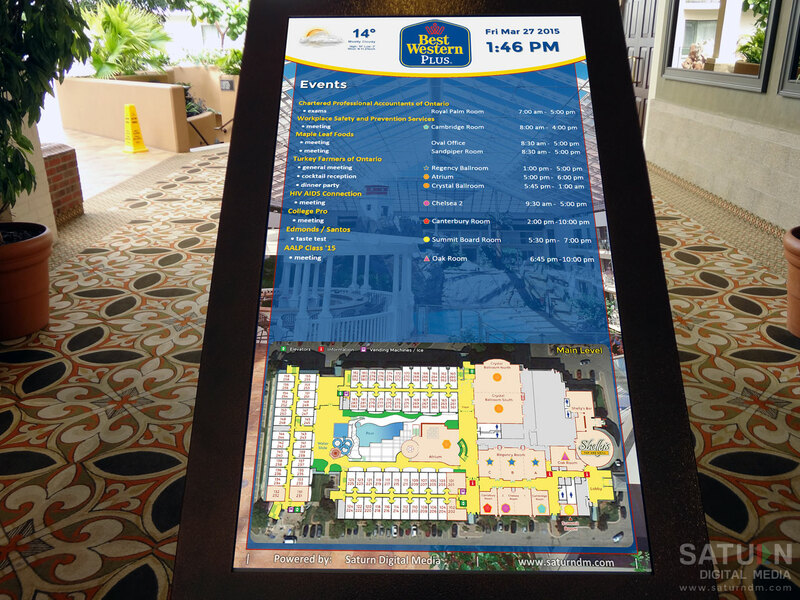 With features such as the virtual concierge software and internet access, interactive kiosks can inform your guests about your hotel&apos;s services, amenities and events, help guide them around your property, inform them about local attractions and provide access to social media with just few clicks of a button or swipes of a finger. The information can be printed out or sent directly to their mobile device by scanning a real&dash;time generated QR code. The possibilities are endless. With Digital Signage many of the patients concerns can be addressed right in the waiting room by providing accurate information about the medical condition that the doctor treats and answering some of the most common questions. As a result the doctor and patient will have more time to focus on other important issues. In addition, Digital Signage will entertain and make the patients feel less frustrated when subjected to long waiting times. Thanks to Digital Signage, the patients, staff and medical students can rest assured that they are always receiving up to date information. Emails may be missed and already printed schedules that do not include last minute changes can be confusing. 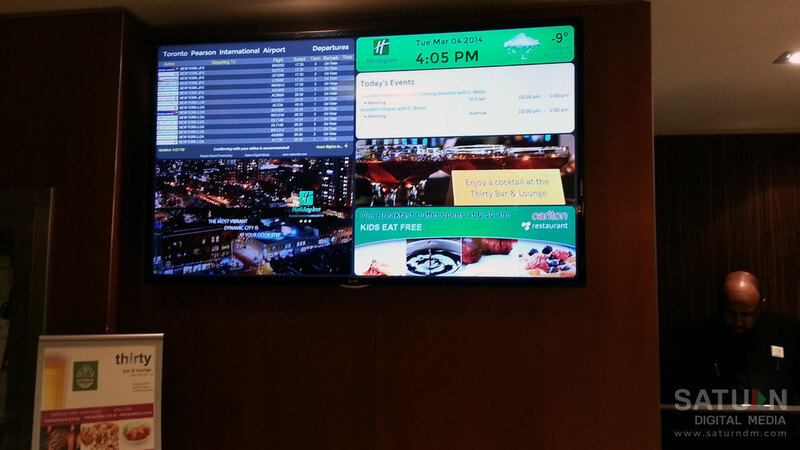 With Digital Signage any schedule updates or changes can be made in real&dash;time across all screens in the network and from one centralized location. Navigating a large hospital facility can be very frustrating to a patient especially when they are already stressing about their appointment. Thanks to a way-finding kiosk, patients can easily find their way around the facility without having to ask for directions. With data&dash;driven way-finding patients will reach their destination quicker via path that also omits under construction areas and locked down elevators thereby increasing their chances of making their appointment on time. Additionally, visually or hearing impaired patients will have an easier time obtaining directions without having to ask for assistance. Easy to follow directions can be printed out or scanned directly into their mobile device via QR code generated in real&dash;time. Having this technology will improve patients&apos; satisfaction while allowing the hospital staff to concentrate on their tasks instead of escorting patients or visitors around the facility. Should an emergency arise, the instant display of messaging across all screens in a Digital Signage network inside a large hospital can be a lifesaver. 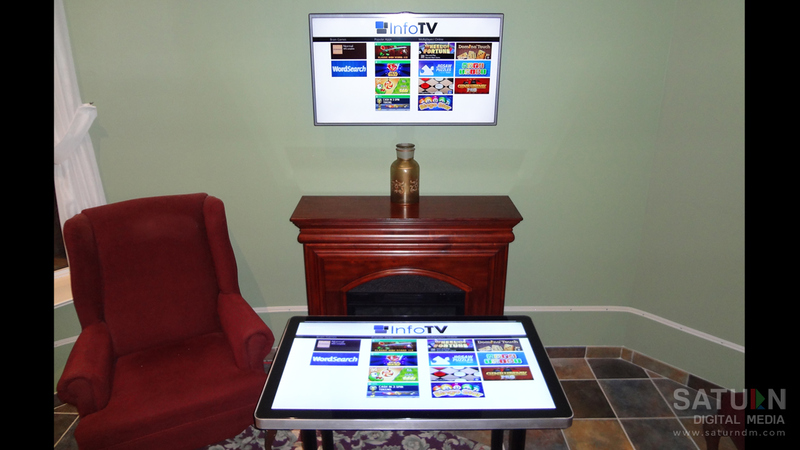 Flat screens in public areas are still a novelty and so their use alone will capture attention. But, by strategically installing Digital Signage in key gathering locations patients and visitors can stay informed with up to date emergency information as well as other relevant information without having to find and pick up reading materials. Interactive kiosks can further improve their experience by letting them access the information they are looking for instantly and in a way that is fun and creative. Paper displays and posters are expensive to print, are prone to inevitable shipping delays and require time as well as man power to install the new while properly disposing of the old. 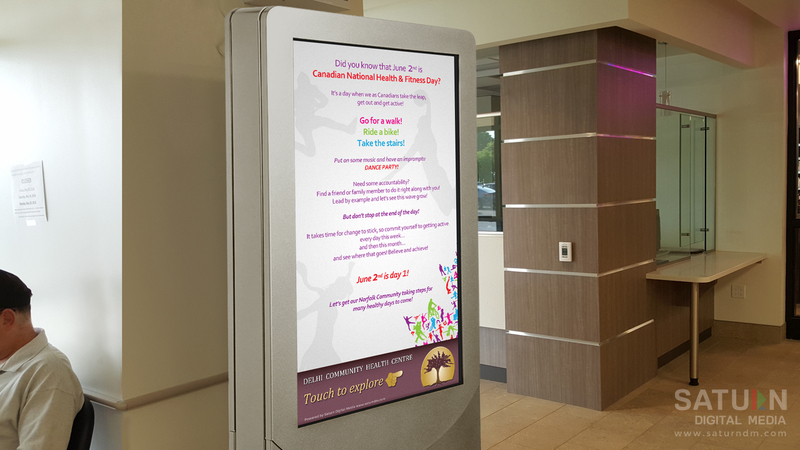 With Digital Signage promotions such as upcoming fund raising events or services provided in private practices can be publicized in ways that are far more eye&dash;catching than any static posters taped to the wall and not mention more environmentally friendly. The Digital Signage screens can be mounted anywhere the staff and patients frequent including lobby areas, corridors, waiting rooms, cafeterias and wards, etc. For the in&dash;house restaurant or cafeteria Digital Signage is a great way to capture the attention of your patrons by displaying daily specials in addition to the regular menus. Furthermore, by entertaining your patrons in line their perceived waiting time will be shortened while providing you with the added opportunity to promote, educate with informative health tips or promote the Government&apos;s campaign to encourage healthy eating. With Digital Signage, third party advertising can be displayed that is provided by retailers or pharmaceutical companies that sell relevant health products. 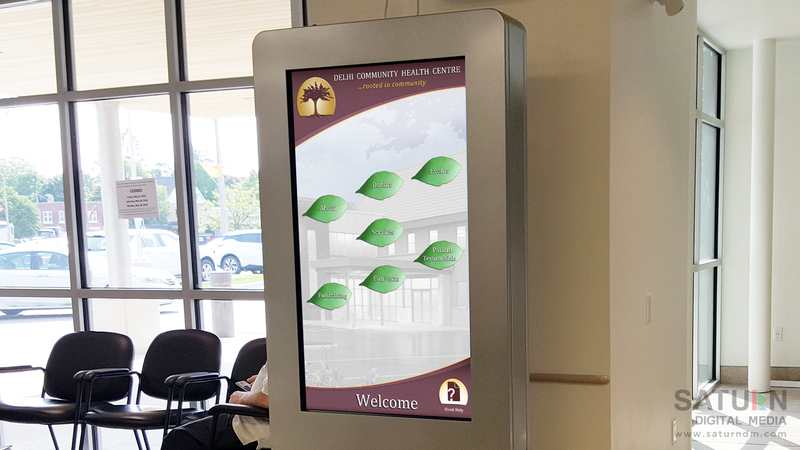 In addition, doctors may want to utilize their Digital Signage to display content that educates their patients about their medical condition or illness and provide information about treatment that the practice offers. The reason for long waiting times in most physician offices is due to the doctor&apos;s inability to address all of the questions and concerns in the short time allotted for each patient. By utilizing Digital Signage in this way, time will be saved for other discussions thereby benefiting both the patient and physician. Long waiting times in the doctor&apos;s waiting room can be very nerve wrecking to the patient. By installing Digital Signage in the waiting rooms that display more than just conventional television but also health information, promotions and other fun facts, the patients will have something other to focus on resulting in shorter perceived waiting times and overall happier patients. Whether it is adding a new item or updating the price, with Digital Menu Boards or posters those changes can be accomplished with just few clicks. Additionally, with the new legislation requiring restaurant chains to display calorie information, all restaurants in the chain can stay compliant by updating their displays instantly and from one centralized location. With Digital Menus or posters food can be presented in stunning high resolution and motion graphics that patrons will surely take notice thus providing the restaurant with the opportunity to up&dash;sale. 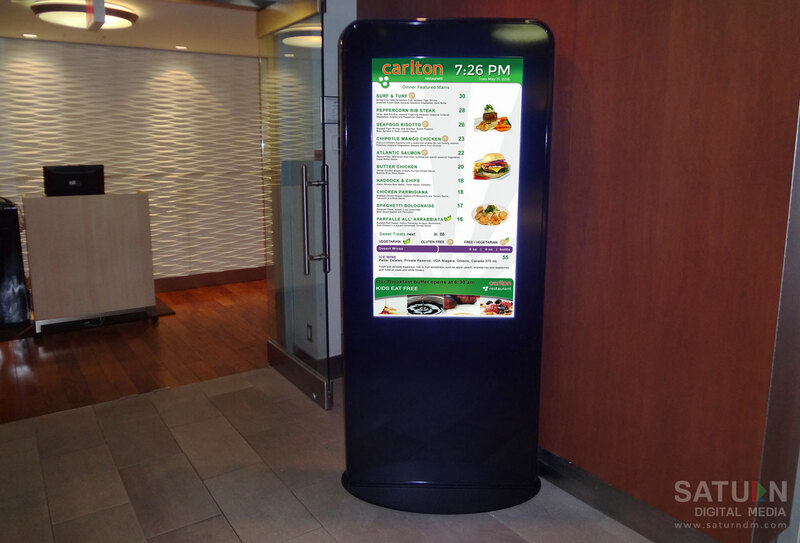 In addition to digital menus or where they are simply not feasible, our Smart Digital Menu Board solution can be used. Depending on your goals this can be a screen mounted in an indoor/outdoor enclosure or an interactive kiosk. For another option, the screen can be mounted facing out the restaurant&apos;s window to attract passing by patrons and then entice them with its unique menu, special deals and other content. For more information about our Smart Digital Menu Boards for restaurants, download our PDF brochure below. One of the biggest draw backs of paper menus is that someone needs to flip the insert from breakfast to lunch then dinner, etc. 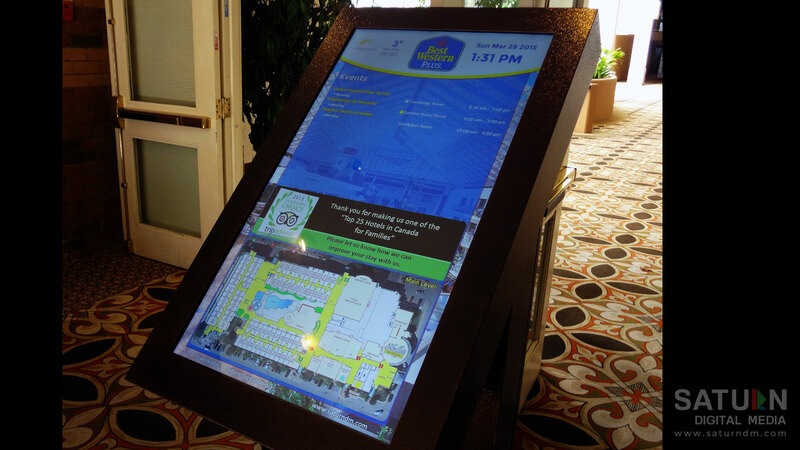 But, with Digital Menus or posters changes can be scheduled to take place automatically. By using software such as the easy&dash;to&dash;use Google calendar, restaurants can get creative with their marketing by scheduling what deals to display, when and for how long. With static menu boards there is just too many things that can go wrong. Issues with the spelling, inevitable shipping delays and there is always the risk that employees will forget or neglect to replace outdated menu boards and posters. With Digital Menus and posters any changes can be applied to all restaurants in the network in an instant thereby ensuring brand consistency. Since updates happen remotely and from one central location, this eliminates printing errors, forgoes shipping delays, employee mishaps or any other static menu related headaches. Customers usually do not mind waiting when they are entertained. With Digital Menus or posters restaurants can display value adding content such as fun facts, trivia or other entertainment that will not only shorten their customers perceived waiting time in line but improve their overall experience. Additionally, while customers are focused on the screens the restaurant has an opportunity to slip in extra promotions or other branded content. 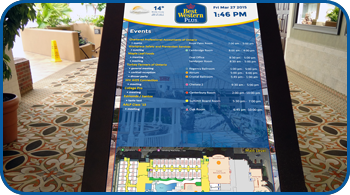 Maintaining static menus and posters can become very expensive over time as they need to be printed, shipped and require time as well as man power to install the new while properly dispose of the old. 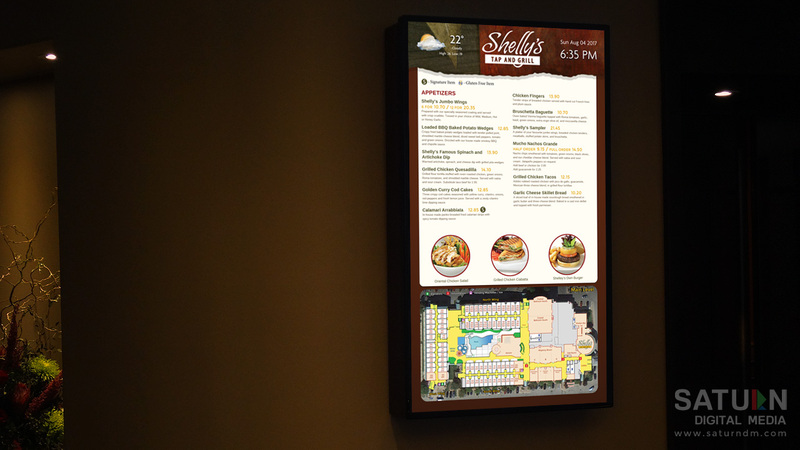 Once Digital Menus or posters are designed, maintaining them can be as easy as uploading a new image or hitting the "print" button and in the existing software used by the restaurant&apos;s marketing team. After hours the restaurant can utilize their Digital Menus for training purposes or to communicate other important information to its staff. Pre&dash;recorded training videos can be played back to the staff at predetermined times or a message from the CEO can be relayed to the customers thanking them for their business and support. Regardless of how great your paper displays may appear, still they are static and may easily be overlooked by your customers. Whether placing Digital Signage in the store window, the entrance, individual departments or in the fitting rooms, products can be promoted using stunning high resolution motion graphics, video and even audio. Since Digital Signage can display content of far greater variety than static displays, this allows retailers to convey a stronger and more consistent brand message to its customers often resulting in an increase of sales in every department, even when not targeting a specific product or customer. In clothing stores, lifeless mannequins can be replaced by projecting video of live models wearing store product onto the store&apos;s outside windows to create excitement and attract walking by patrons. Additionally, a video wall installed at the store&apos;s entrance can be used to highlight exclusive products, display special promotions and other content, etc. With paper displays, each new sign has to be designed, printed and distributed. Then someone still has to install the new displays while properly dispose of the old. Not only is this time consuming and very expensive over time, but it also has a negative impact on our environment. With Digital Signage, new product advertising or updates can be done instantly with just a few simple clicks which is perfect for enticing customers to make those impulse purchases. Furthermore, special promotions can be scheduled in advance to appear on specific days and times at all stores in the network and from one centralized location to ensure brand consistency. Today&apos;s younger generation is not afraid of touch screens and relish every ability to manipulate the interface of a kiosk or other self&dash;serving unit as it provides them with a sense of empowerment and independence. By having an interactive kiosk inside the store, customers will be able to serve themselves thereby adding a level of convenience to their shopping experience. They can have access to detailed product information and share it on social media while allowing retailers to display a predetermined list of advertising for similar products with the potential to up&dash;sale. By integrating a kiosk with an "inventory extension", customers will have access to SKUs not found on the store&apos;s shelves. If they cannot find the product in the exact size they want or color, they can use the kiosk to order it and choose to have it shipped directly to their home or store for pick up. This way, the store can still make the sale without having the customer walk out unhappy to shop somewhere else. By having an interactive kiosk integrated with an "inventory extension" and data&dash;driven way-finding, customers can quickly find the location of the product inside the store without having to ask for assistance. This will not only streamline your customers&apos; shopping experience but improve employee productivity as they will have more time to focus on other tasks. With Real&dash;time statistics, retailers can keep track of what products customers search for more often and adjust marketing accordingly to ensure that other products are promoted more efficiently. With an in&dash;store Digital Signage network there is an opportunity to partner with third party vendors in order to generate an extra revenue stream. For example, a cosmetics supplier may want to buy advertising space to promote their products or a tool supplier might be interested to place an ad on the in&dash;store&apos;s Digital Signage network for an auto parts store. 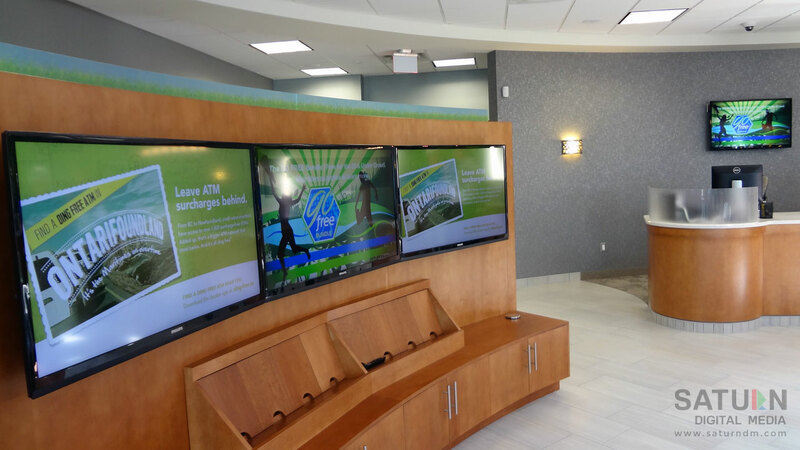 Initially Digital Signage may seem costly, but over time the money saved is worth the investment. Once Digital Signage is installed all the content is delivered in digital form and can be stored locally on media players within the store or in the cloud. Unlike static displays where every time a change is required, the signs need to be redesigned, printed in large quantities and redistributed to all the store locations in hopes that they will arrive on time. Then the store employees still have to spend time installing the new displays while properly disposing of the old when instead they could be focusing on more important tasks like serving their customers. Additionally, there is always the risk that employees will forget or neglect to install a display causing brand inconsistency among the stores and missed promotional opportunities. 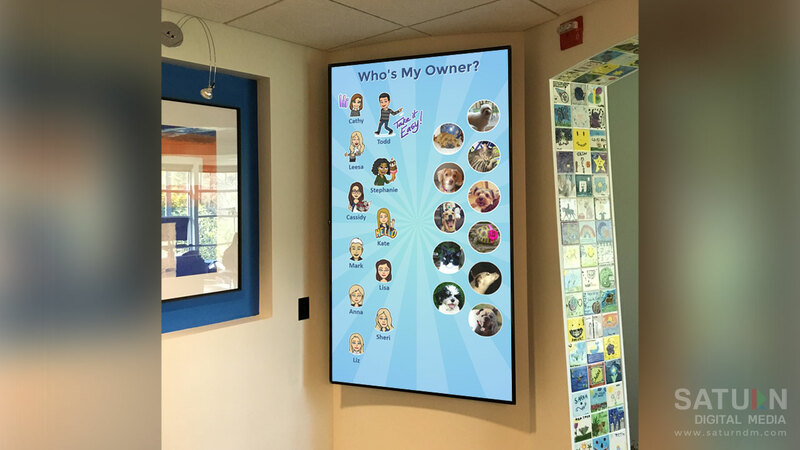 With Digital Signage a change can take as little as uploading a new image or hitting the "print" button in the software that store&apos;s marketing team is already using. Unlike static displays, Digital Signage offers virtually unlimited possibilities for entertainment and creative promotion because of its capability to display exciting motion graphics, high resolution slides, video and even audio. By entertaining your customers as they stand in line their perceived waiting time will be shortened and their overall shopping experience improved. With customers focused on the screen, retailers have the opportunity to encourage impulse purchasing and up&dash;sale by intermixing exclusive promotional content with entertainment. 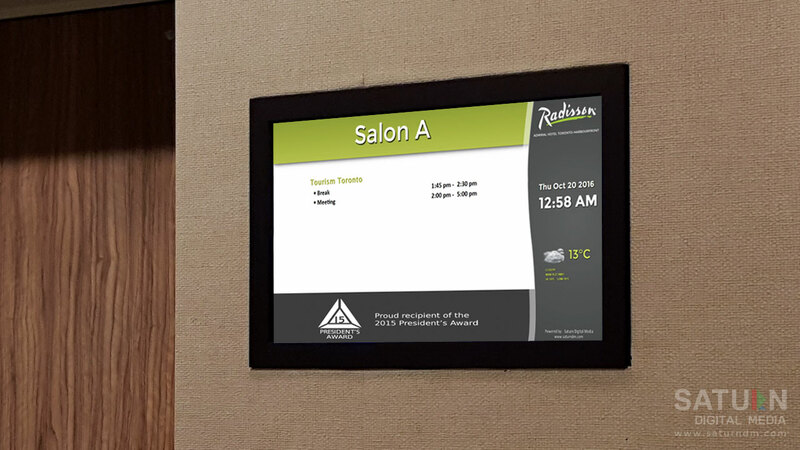 Before or after hours, Digital Signage can be utilized by retailers for the purposes of training or to relay other important information to its staff. The employees are not required to travel to a central location or miss work for important policy, procedure, or new&dash;hire training sessions. Pre&dash;recorded videos such as product demonstrations, guidance on selling strategy and other educational material designed to improve sales as well as customer service effectiveness can be played back to the employees at a predetermined and convenient time. With the majority of today&apos;s youth growing up using smart phones, playing video games, manipulating tablet devices and watching videos on Youtube, students have become very accustomed to interacting with modern technology. In fact video and images are increasingly becoming their chosen method of communication thereby making the adoption of Digital Signage in an educational environment the perfect sense. With Digital Signage schools and higher education institutions can display images and video on a large scale to effectively improve their students&apos; learning experience. However, those that choose to be less innovative may be left behind for giving the impression of having less to offer to the students they teach. Consider the following top reasons for adopting Digital Signage that no Educational Institution should ignore. Since students of today are constantly bombarded by information every minute of every day, the schools and higher education institutions have to compete for their attention. It has become even more challenging when trying to relay education&dash;related information that is going up against such distractions as texting, iPods, Facebook, Twitter and Youtube. So, to break the mold the institutions need to be seen as more modern and exciting places of learning. This is where Digital Signage can help. Static posters and displays are too old fashioned and no longer enough to make a lasting impression. By incorporating Digital Signage, schools and institutions can display dynamic content comprised of exciting moving images in high resolution as well as video with audio, TV feeds and other content that will create an impact. The content can be disseminated instantly from one centralized location to large LCD screens installed in different areas of the building or campus where most students and staff frequent. Those can be cafeterias, administration offices, alumni, blockbuster kiosks, recreation facilities, athletic buildings, academic buildings and other common areas. 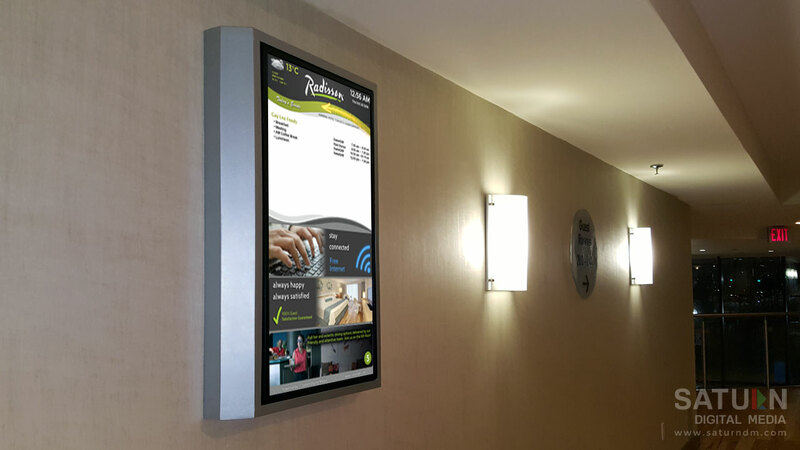 With Digital Signage promoting is far more eye catching and a lot less waste&dash;full than any static posters taped to a wall. Additionally, important information such as academic programs may get lost when pinned amidst other flyers to an old fashioned bulletin board. By installing large screens anywhere that students frequent, Digital Signage will ease promotion and quickly spread the word about upcoming sporting events, concerts, college fairs and important meetings, etc. In high&dash;schools possible screen locations can include outside the main office, cafeterias, auditorium lobbies, gyms and other areas. 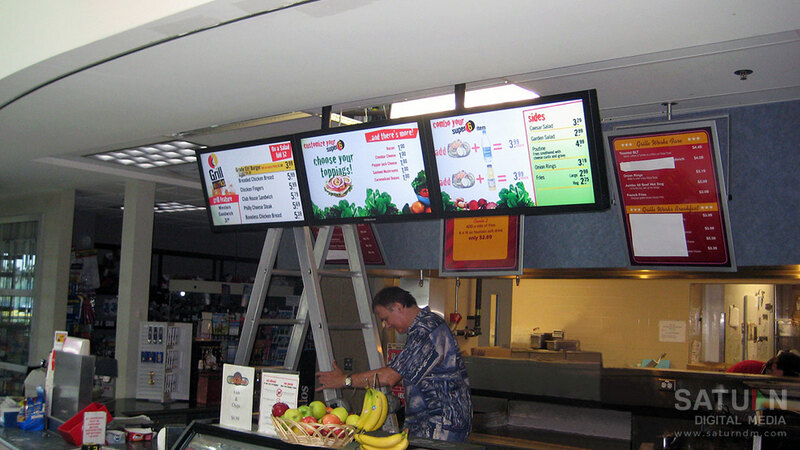 On College campuses the Digital Signage can be implemented in dining halls, libraries, student unions and hubs, academic halls and dorm lobbies, etc. Unlike static menus, Digital Menus grab attention and will make the food look even more appetizing when presented with exciting motion graphics and high resolution images. The Digital Menus can be used to encourage healthy eating by displaying nutritional information, entice with special deals and other offers with the potential to up&dash;sale. While students standing in line are entertained, their perceived waiting time will be shortened while providing your institution with the added opportunity to remind them of events, inform them of last minute changes as well as relay other important information. When adding new items or updating the price, static menus need to be redesigned, printed and reinserted. But, with Digital Menus updating is instantaneous and can be as simple as uploading a new image. There is also no need to manually switch from a breakfast special to lunch, etc. since with Digital Menus those changes can be scheduled in advance to kick in automatically. Each year school districts and higher education institutions spend a lot of money on printing class schedules and other time sensitive materials that result in mass confusion when last minute changes do not make the final prints. Updates on the institutions&apos; web&dash;site can be overlooked while emails if students do bother to read them either end up in the junk folder or sometimes do not reach their recipients at all. But, with Digital Signage updates can happen in real&dash;time helping your institution to reach students that are not at their computers or do not frequently check their emails. Additionally, Digital Signage installed in the departmental offices or faculty lounge can provide up&dash;to&dash;date information about daily events and changes, Human Resources info, professional development opportunities and more. In any educational institution it is vital to always ensure the safety of its students and staff. With Digital Signage students and staff can be alerted to severe weather, emergencies as well as lock&dash;downs and evacuations. By having security or other authorized personnel enter a code using a browser enabled cell phone, predetermined emergency instructions can be instantly broacasted on Digital Signage screens installed building&dash;wide or campus&dash;wide. This eliminates scrambling to get instructions on the air and once the all clear has been given, the screens will return to their regular content broadcast. In an increasingly competitive environment it is critical for a school to look good and differentiate itself from the pack. With Digital Signage, you can visually inform your prospective students and parents about the range of your institution&apos;s offerings. 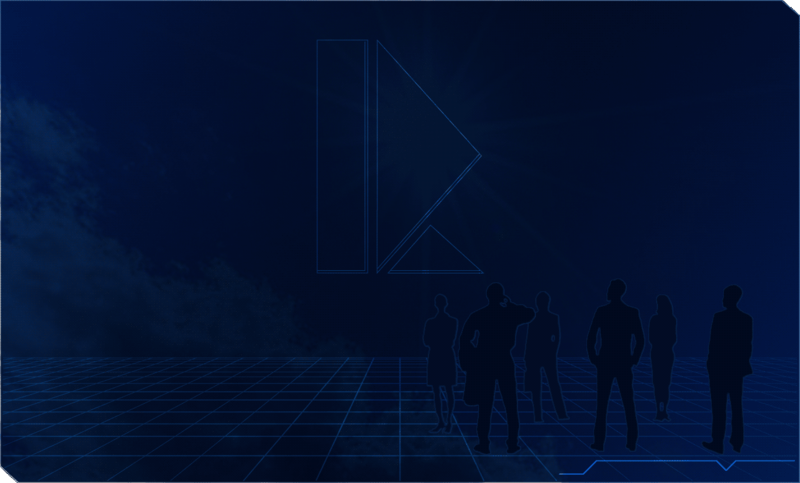 Not only will this show that you are communicating using the latest technologies but will make your institution appear as innovative and forward thinking. It also speaks volumes to the visiting alumni, who want to see how their old school has developed prior to supporting new initiatives. Navigating a high&dash;school or campus can be a huge and confusing chore. By employing interactive kiosks with data&dash;driven way&dash;finding, visitors can find their way around your high&dash;school or campus quicker than with any traditional paper maps. The directions can be printed out or sent directly to the mobile phone by scanning a QR code generated in real&dash;time. Additionally, the kiosk can be instantly updated to accommodate specific groups such as parents attending open houses and departmental graduations as well as public attending sporting events, speaking engagements, seminars and fund&dash;raising events, etc. Since data&dash;driven is based on numeric values, the guidance path can be easily added to or manipulated. 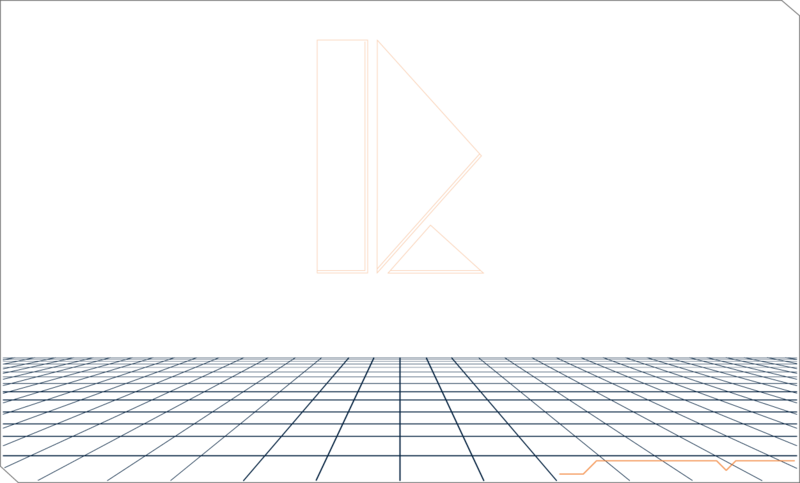 Thus when areas are under construction or an elevator is locked down, the guidance path will adjust to guide your visitors via a new route omitting these obstacles and eliminating the need for creating new maps. 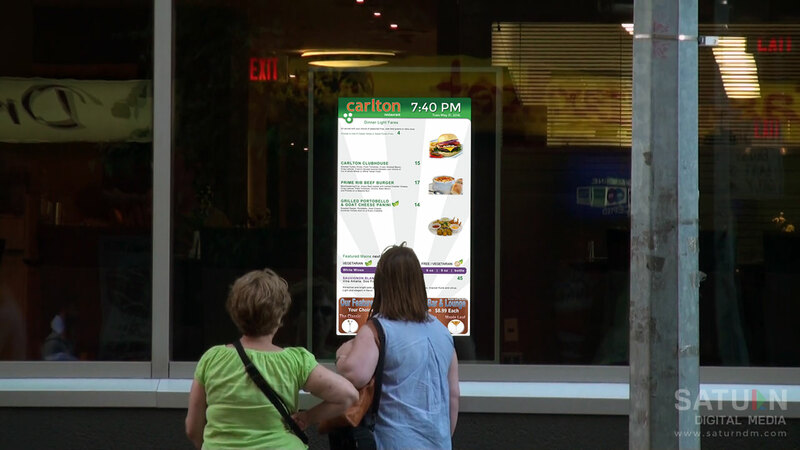 Whether or not students are waiting in line or sitting down to eat, Digital Signage provides your institution with an opportunity to entertain while communicating helpful information to them directly. On the same screen as entertainment, an eye&dash;catching space can be devoted to promoting healthy eating, immunization clinics, the availability of counsellors and other services. Additionally, the space can be used to remind students of the school rules and the expected conduct. It can provide aid in their career paths by encouraging community service and safe behaviour while discouraging unethical behaviour such as alcohol and drug use. By allowing third&dash;advertisers to stream content on your Digital Signage screens, your institution can subsidize academic and operational expenses. Paid content can be intermixed with your own and displayed on Digital Signage screens installed in student hubs, bookstores, on&dash;campus cafeterias, including stadiums and other sporting venues. At first glance adopting Digital Signage may seem costly, but the benefits and money saved over time make the investment well worth it. It takes time and money to constantly re&dash;design static posters and flyers that also need to be printed and distributed. Even when the design is handed off to students with the printing done at a campus print shop, the waste of paper and ink is still huge not to mention having a negative impact on our environment. With Digital Signage the need for printed materials becomes greatly reduced and allowing your institution to promote and communicate with students as well as staff in ways that are far more entertaining and appealing. Additionally, by delivering content from one centralized location you effectively become the clearing house or gatekeeper for all multimedia for your school district or campus. This means less errors and mistakes as content will be simultaneously broadcasted to all Digital Signage screens installed campus&dash;wide or in different areas of the school building. In case of an emergency, severe weather warnings or other predetermined emergency messaging can easily populate the screens by having security or other authorized personnel enter a code on their web browser enabled cell phone. In a world where technology is endlessly evolving and an interconnected society that is constantly in the fast lane, the decision to adopt Digital Signage in today&apos;s shopping malls is not only sensible but a necessity. By placing screens in high traffic areas and with the right content strategy, Digital Signage in shopping malls will make everyone feel like a winner. Additionally, trend&dash;savvy consumers and retailers will appreciate your mall&apos;s commitment to staying up&dash;to&dash;date with modern technology. Here are some things to keep in mind when considering Digital Signage for your shopping centre. In shopping malls there is a huge amount of visual clutter thus making it not an easy environment for advertising media. To be effective, Digital Signage not only needs to be placed in high traffic areas such as entrances and food courts, but it also has to stand out in a mall filled with many people, stores, other signage and music. There is also the common inclination to display standard RSS news feeds, weather and long format advertising which is not ideal for a mall environment. When consumers visit a shopping centre their main focus is on "shopping" and so they are eager to know about bargains, sales and events. For Digital Signage to be successful, it needs to tap into that mindset and display content that is relevant, useful and fun. This can be even better achieved by understanding who is visiting the mall and at what times. Generally, the older customers frequent the shopping centre in the morning followed by moms in the midday. In the late afternoons and early evenings it is the children and young adults who are the main demographic. By strategically matching advertising with the right demographic, malls can aid consumers with useful information while the retailers can attract more customers. By implementing an interactive kiosk with way&dash;finding inside the shopping centre, consumers can locate a store more quickly by selecting either the store name or its advertising. This will trigger an animated data&dash;driven path guiding consumers to the store via fastest route from the kiosk location. The directions can also be sent to their mobile phone by scanning a real&dash;time generated QR code. Furthermore, with real&dash;time statistics retailers will know if their customers are visiting the mall to shop with them specifically or just stopping in randomly. The advantage of data&dash;driven versus standard image maps is that the path is stored in numeric values that can be easily added to or manipulated. Thus, if a store has moved or an area needs to be locked down for construction there is no need to create new image maps instead only the path gets adjusted. With all the visual clutter inside a shopping centre, a static display will surely be overlooked, but Digital Signage with motion sensing can address consumers as they walk by. 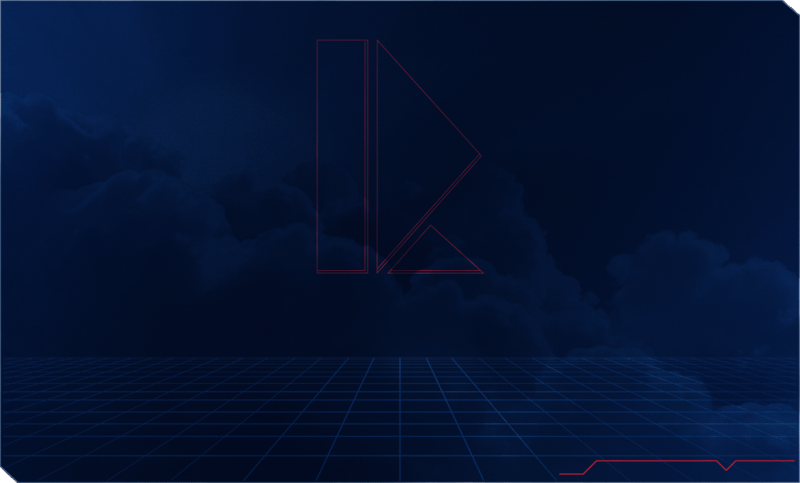 By displaying relevant content consisting of high resolution motion graphics, advertising and video, your consumers will be helped and entertained at the same time. All content can be easily updated from one centralized location with the option to schedule content in advance to to display on specific days and times. This allows Digital Signage to be dynamic and always appearing fresh to your consumers. Additionally, an interactive kiosk can be incorporated with a fun interface that allows consumers to access store information, find its location, share on social media and help them stay up&dash;to&dash;date with all the happening inside the mall. By leasing advertising space on your Digital Signage to retailers within your mall and corporate communication companies, there is an opportunity to generate an extra revenue stream. The advertising can be matched strategically with the appropriate demographic depending on the time of day and by including an interactive component, consumers can be recommended products based on their store searches. With real&dash;time statistics, retailers will also know which products their customers are most interested in so they can highlight them within their stores. Static posters and banners need to be re&dash;designed, printed, as well as shipped to the mall and then they still need be installed with old properly disposed. When the goal is to keep content relevant and fresh for the consumers, this can become very costly over time and not to mention the negative impact it has on our environment. With Digital Signage, content can be instantly updated from one centralized location to all displays within the mall simultaneously and without having to worry how the prints turned out or if they will arrive on time. "Saturn Digital Media has conducted a few projects for us here at The Holiday Inn Toronto Downtown and we have always found them to be consistent and reliable. They have detailed knowledge of each project thus do great work from concept to final output. They are extremely inventive and always suggest new ideas and superb implementation. They produce excellent work at a reasonable price. I would have no problem recommending Saturn Digital Media to anyone looking for an honest, hard working, detailed company." At Saturn Digital Media we create high&dash;quality, innovative and entertaining media that grabs your attention. In addition to Digital Signage, we also do advertising, web development and video production including video editing and transcoding as well as original music composition and sound design. Whatever your media project, we have the experience and will collaborate with you to deliver content that leaves a lasting impression on your audience. Effective Graphic Design is about creating a strong and unique identity. 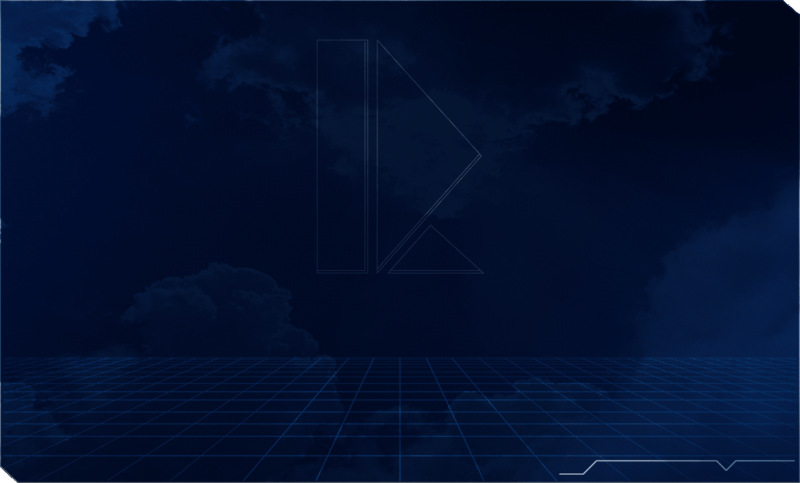 Whether you are an individual or a company, at Saturn Digital Media we will collaborate with YOU and create an identity that is easily recognized and remembered by your prospects resulting in profits increase. For a reasonable price we design logos, business cards, flyers, banners, brochures, catalogues, posters, artist covers and more. Click the PDF icon below for our portfolio of select work. 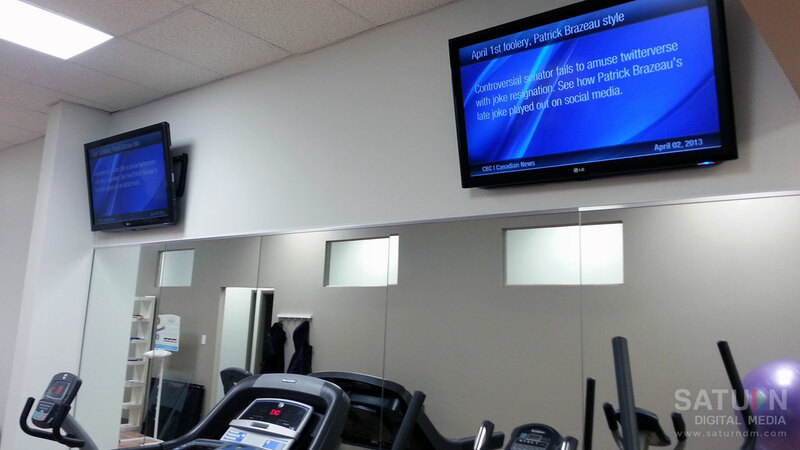 Do you have Digital Signage at your place of business but no time to keep it fresh and relavent? For an affordable annual fee or per ad basis we can design the content for you. Did you know that by the end of 2014 there is an estimated 1 billion active websites on the Internet? According to internetlivestats.com, 2013 alone saw an increase by more than one third from about 630 million websites at the start of the year to over 850 million by December 2013. At Saturn Digital Media we apply years of experience in software development and graphic design to create websites that are more than just beautiful pages from a magazine. We will establish your online presence with an optimized website that will provide your visitors with a fun multimedia experience that they will want to revisit and share with their friends resulting in growth of your business. Do not be just another needle in the ever growing www&dash;stack. Call on us to do your website today. Unlike desktop users, mobile users are constantly on the move and typically want the information to be accessible quickly and easily. They have little patience and so if the links are difficult to click or the contact information is buried inside awkward menus, they will likely go over to the competition. However, if you offer them a satisfying mobile experience not only will you be increasing your credibility but they will more likely visit you again on their desktop. With over 83 million mobile web users and growing, having a mobile&dash;friendly website is becoming essential and especially when considering that Google actually ranks your website lower if not properly optimized. At Saturn Digital Media we will ensure that your website is optimized and easily accessible on all mobile phones and tablets so that you do not worry about missing out on potential prospects. 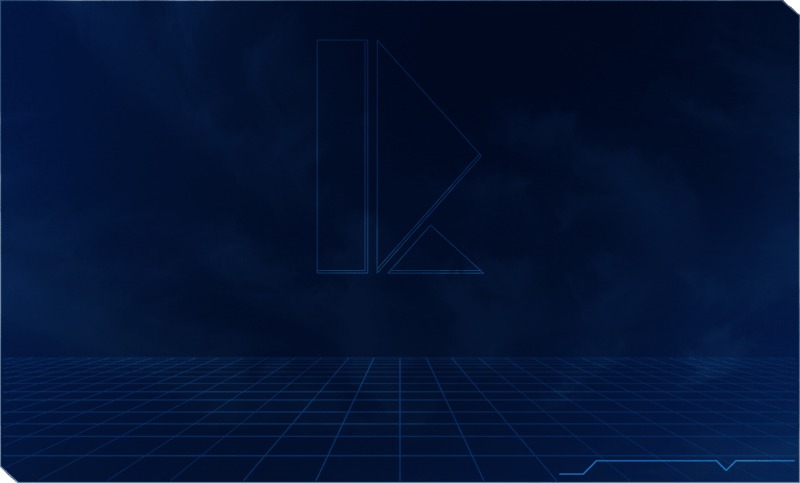 We have partnered with TDimension Studios to bring you original and professional sounding audio for your media projects. Whether it is original music ranging from electronic to emotionally charged orchestral styles or perfectly crafted sound effects, our roster of seasoned professionals can deliver. Learn more about our lead composer/sound designer below and also visit the Soundcloud link for work examples. There is a lot of planning involved to ensure that an audio/video installation is done properly and if not coordinated by a professional A/V company the results can be less than satisfying or even disastrous. Prior to any installation it is always recommended to carry out a detailed survey of your commercial or residential space to determine what technical requirements are met and if any changes or upgrades are necessary before moving forward with the installation. Doing this will ultimately save both time and money. The common mistake made by many venue operators and home owners alike is delegating their audio/video needs to the building contractor instead of a professional A/V company or failing to address those needs prior to commencing renovations. The result is often an unclean installation that may even require doing the same job twice in order to fix numerous issues. Furthermore, there is the misconception that money will be saved when buying a cheap residential display for the purposes of Digital Signage when in fact the opposite is true. A proper commercial grade panel is designed for a 24/7 operation and is warranted for 3 years but your warranty will become voided when using a residential panel in a commercial space. Additionally, it cannot be expected from employees to always remember to turn the display on every day given all the distractions or when they are just being busy. If the money spent on Digital Signage was to entertain, educate and market to your customers then what purpose does it serve when it is turned off? Commercial panels can be programmed to automatically turn on/off and contain less hazardous materials which makes them more easily recyclable when it is time to replace. At Saturn Digital Media our team of experts have over 10 years of experience in Audio/Video installation and setup in commercial spaces. Whether it is Digital Signage or Audio/Video for hotels, commercial buildings, office conference rooms, screening rooms, retail, restaurants, healthcare or other spaces including residential we got you covered. We guarantee a safe, clean and professional installation that will meet your goals and surpass your expectations. Contact Form Please fill in all the required fields.